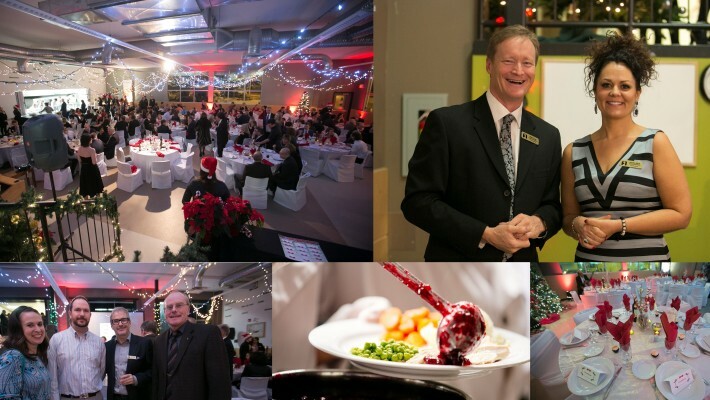 The Saskatoon Friendship Inn would like to invite you to the Fourth Annual Festive Dinner fundraiser on Wednesday, December 9, 2015. Call the Inn to book your tickets soon, tables are selling fast! This year again the presenting sponsor is PotashCorp. For our dinner we convert the daily dining room of the Friendship Inn into a fancy ballroom for our Festive Dinner. Join us for a traditional turkey dinner and news about the Friendship Inn. Cocktail hour begins at 5:30pm, dinner at 6:45pm, located at the Friendship Inn, 619 20th Street West (at Ave G). 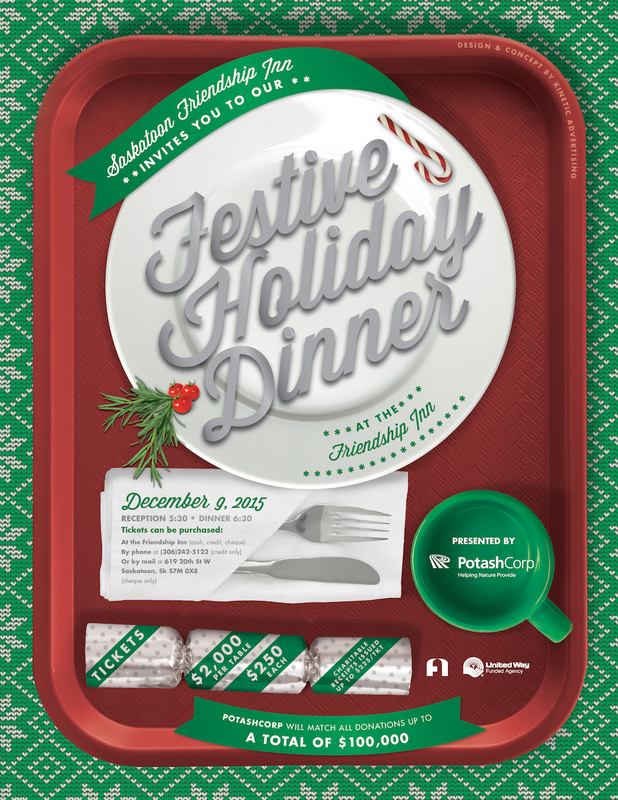 Contact the Friendship Inn to reserve your table for $2000, or tickets for $250. Call 306-242-5122 to book your table.